What started as a business run by a single person has now grown to become a family-run business that is becoming larger and larger and influences the markets around the world. The name ELIET takes us back to the original establisher and inspirer of the company. As a contraction of the founder's first name and family name of ELIET, EMIEL LIETAER has been putting his stamp on the company since the very beginning. Emiel was born in 1947 into a family of 8 successive generations of blacksmiths. He grew up amongst farm machinery and he built up broad technical experience during practical trainings in a number of French and German machinery factories. Faithful to his roots, Emiel set up a metal construction workshop for the construction of stables. Due to the revival of the garden culture in the 1970s, an expansion to the sale of garden machinery was quickly made. Fairly quickly Emiel Lietaer came to realise that there were no tailor-made solutions at hand for many gardening problems. 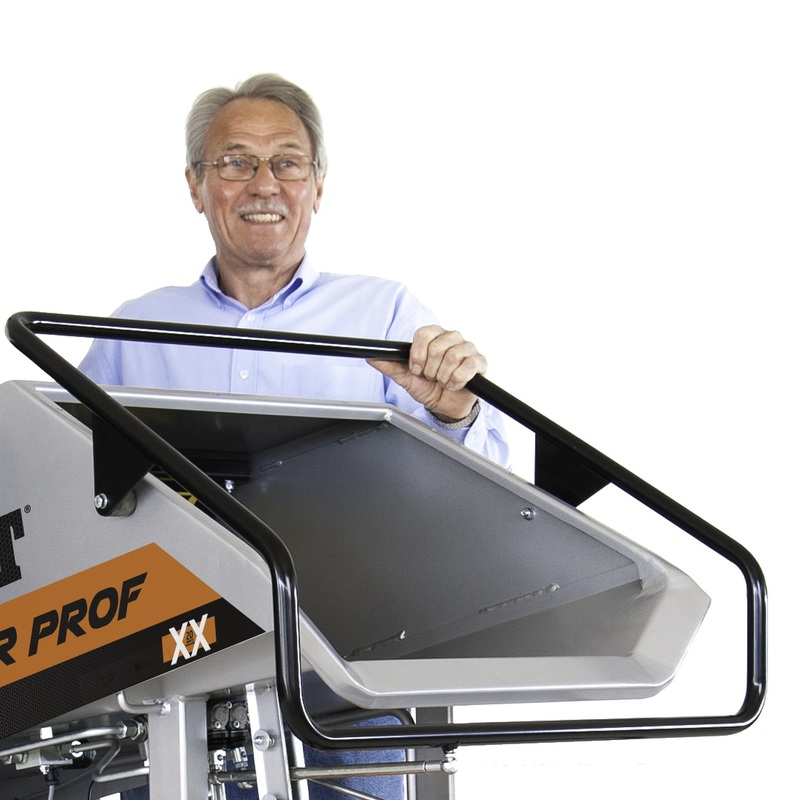 Thanks to his creative mind and technical skills, the first ELIET machines were produced around 1980. The foundation for the machinery factory was in place. The great breakthrough came in 1986 with the participation in the International Agricultural Week at the Heysel in Brussels. The continuously growing demand for Eliet machines quickly obliged ELIET to make investments and to expand buildings and the headcount. A trend that is still going on now. The apple never falls far from the tree... This saying applies primarily to Frederic Lietaer, Emiel's son. From an early age, he came into contact with machines, designing, technology and the growing number of customers of the company that his father built. It should, therefore, not be surprising that he also came to love the profession just as much and that he was determined to continue the ELIET success story after he completed his studies. Even far away from Belgium it has been noticed that ELIET machines are different than other garden machinery. To this very date, ELIET machines are, therefore, also distributed in Europe and in far away places. Click here to find out where to obtain your ELIET machine.